Online exhibition produced for the National World War I Museum at Liberty Memorial in May 2014, one month prior to the centennial commemoration of the start of the war. 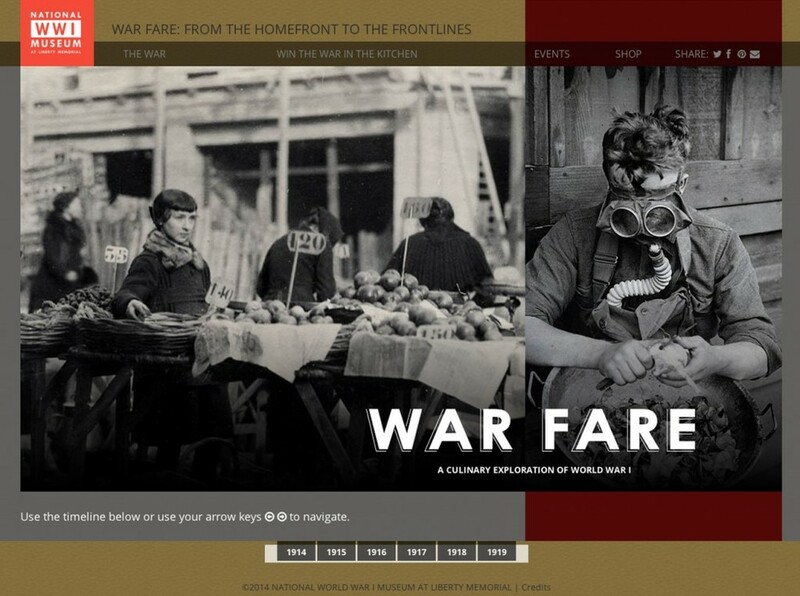 “War Fare” is a culinary exploration of the war, from the homefront to the frontlines. It includes a year-by-year, timeline-based historical narrative as well as a contemporary kitchen exploration of recipes from the time period.